Comic-Con Guide: How do you feel about this Killing Joke image? 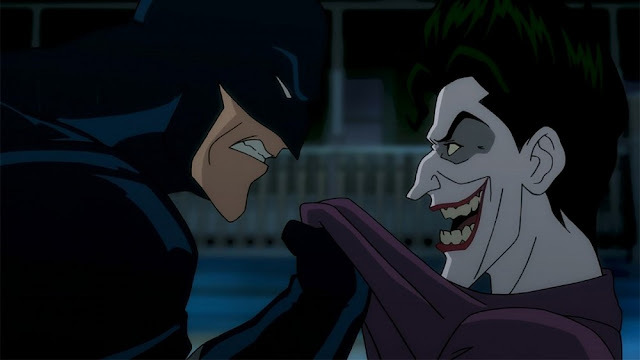 How do you feel about this Killing Joke image? It's like a tiny piece of San Diego Comic-Con 2016 floated down from the sky like a multi-colored snowflake: we have the first image from The Killing Joke, screening this summer at SDCC. "All it takes is one bad day to reduce the sanest man alive to lunacy... Just one bad day." "Remember there's always madness... Madness is the emergency exit." "If I have to have a past, then I prefer it to be multiple choice." I'm feeling it. Are you?